Home » Media Room » Blog » Budget sends clear signal to industry on low-carbon transition in B.C. Published in Times Colonist (February 22, 2018). B.C. plans to develop an energy roadmap. Photo: Province of B.C. 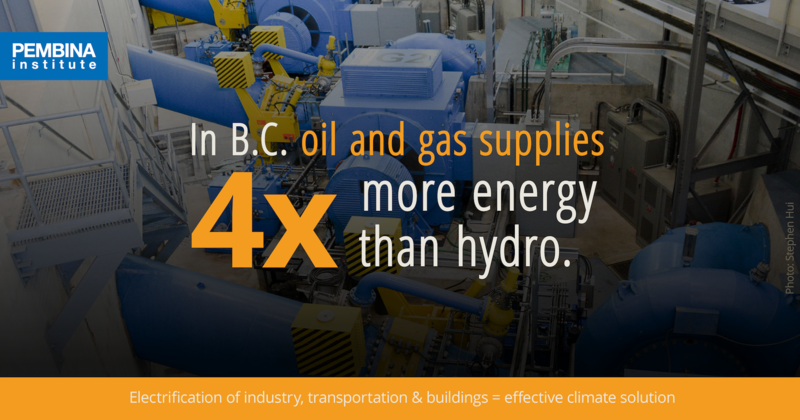 Competitive companies are important to B.C., and so is transitioning to a low-carbon economy. That's the clear signal sent by this week's B.C. budget to emissions-intensive industries. We look forward to the rollout of budget measures that will support emissions-intensive industries in making the low-carbon transition — via the creation of an industry incentive program, new investments in low-carbon innovation and the development of an energy roadmap for B.C. In the next year, the province must continue to plan for further investments in climate action, based on a forward-thinking climate strategy that curbs carbon pollution and stimulates growth in the clean economy. Budget investments in wildfire preparedness, energy-efficient social housing and carbon-tax rebates for lower-income households show it's possible to prioritize the health and safety of our communities and families in tandem with addressing the climate challenge. The (Victoria) Times Colonist published this letter to the editor on February 22, 2018 (page A11). Tags: British Columbia, Provincial Policy, Climate Policy, Economics, Letter to the Editor.